In some communities, the steeple of a church might be the tallest structure around. While office buildings and Tiger Stadium may stand higher in Baton Rouge, our places of worship are no less arresting for their graceful towers, unique interior designs and fascinating religious items. St. Joseph’s Cathedral to the Islamic Center of Baton Rouge. Putting together that series reminded us of the architectural beauty of those places as well. 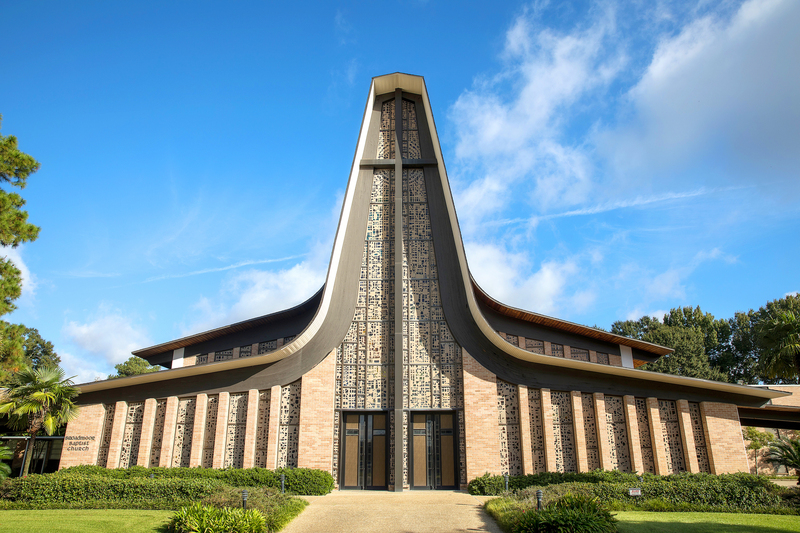 Turn the page as we highlight the first two in a new series of visual profiles on places of worship in Baton Rouge. 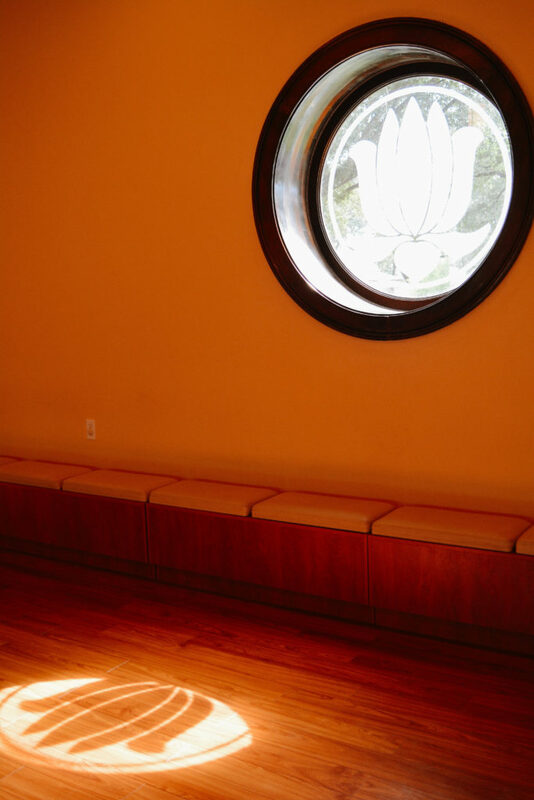 The main facility is the Meditation Hall, where practitioners and visitors alike come to meditate and pray. 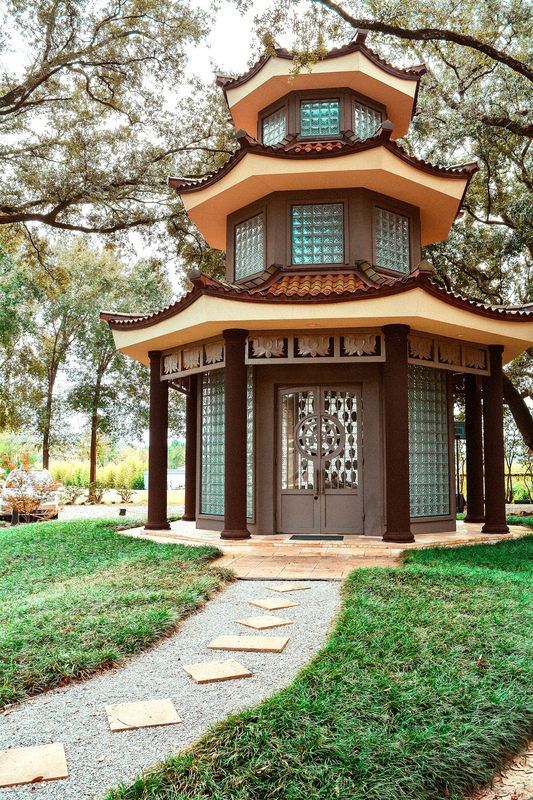 All photos of Tam Bao by Taylor Moran. 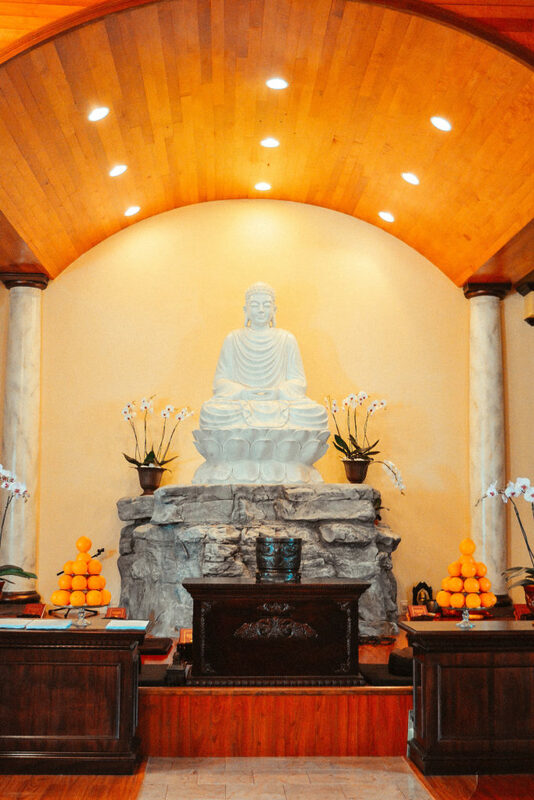 On left: The decor inside the hall is simple, with a Buddha statue at the back of the room sitting in a meditation posture. 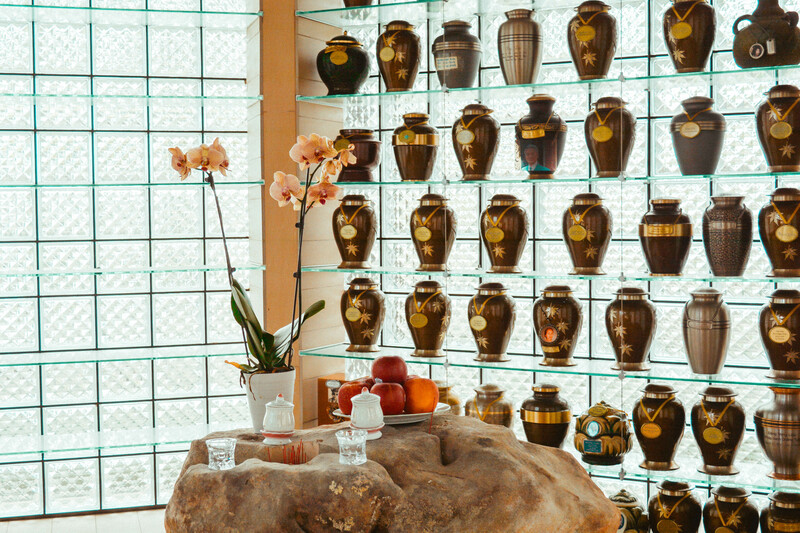 Offerings to the Buddha, such as oranges and flowers, surround the statue. 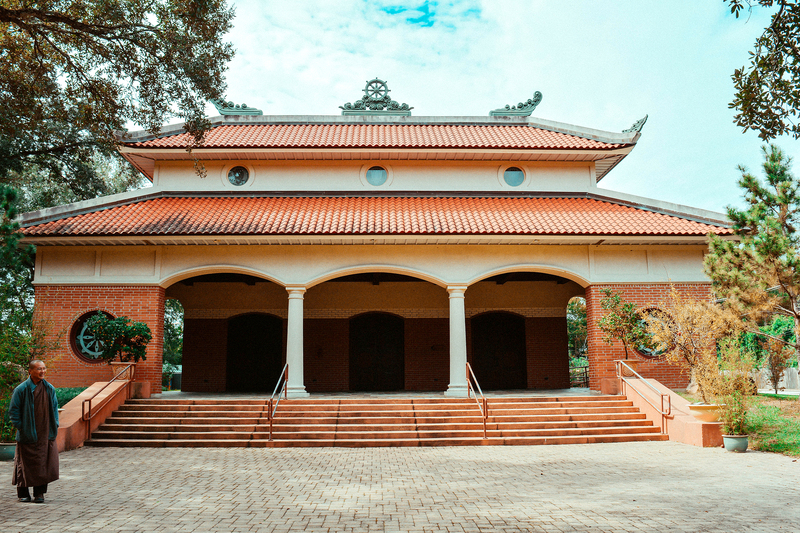 On right: The windows of the hall are etched with an image of the lotus, one of the most important symbols of Buddhism. Because the striking flower grows in muddy water, Buddhists see it as a metaphor for the long path to purity and enlightenment. On right: The massive “Happy Buddha” statue dominates one of the gardens, where Thay says many people like to spend a quiet moment before they go to work. 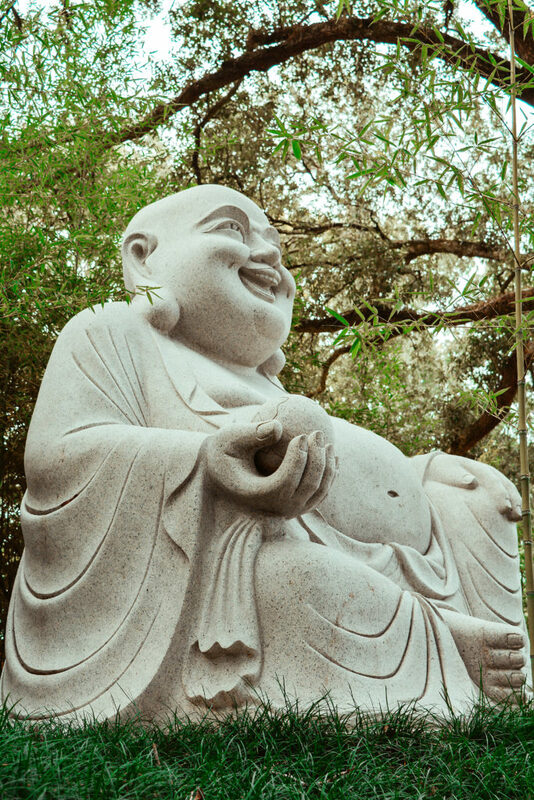 The Happy Buddha, he says, has developed a high level of acceptance and tolerance, “so he can smile all the time.” Thay originally asked the sculptor in Vietnam to depict the Buddha holding a football. But the sculptor didn’t understand the American sport, so they agreed on a globe instead. 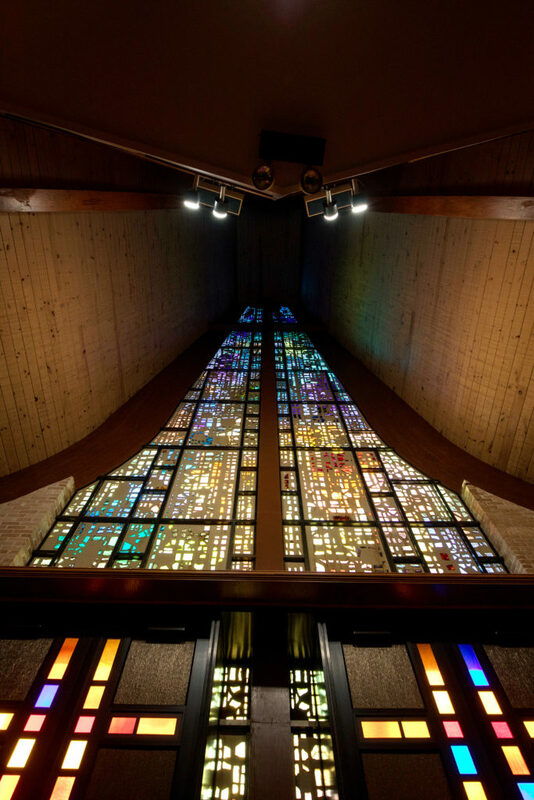 Congregants say it looks like the space shuttle taking off, and for travelers on Goodwood Boulevard, the church’s exterior is enough to make them stop and stare. The uniquely shaped structure was designed by architect Harold Thompson and completed in 1971. 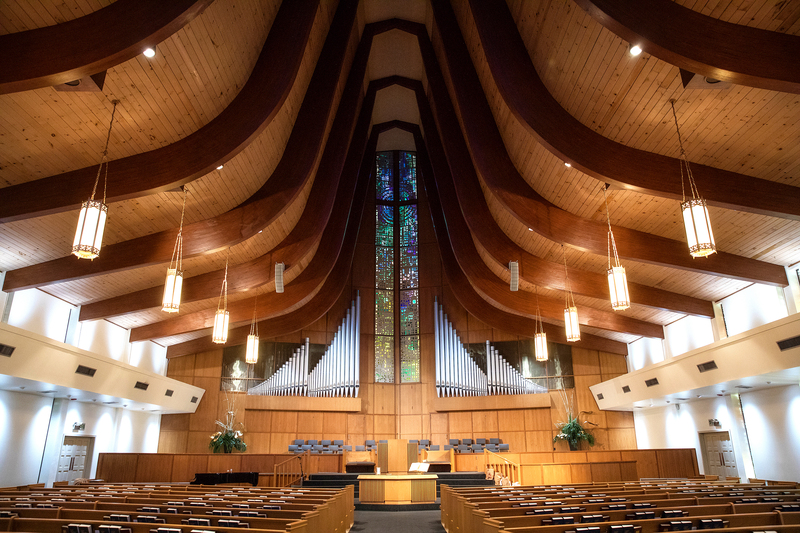 All photos of Broadmoor Baptist Church by Collin Richie. On left: Embedded in the glass are numerous symbols of stars and crosses, evoking Jesus’ birth under a star and his suffering and death on the cross. 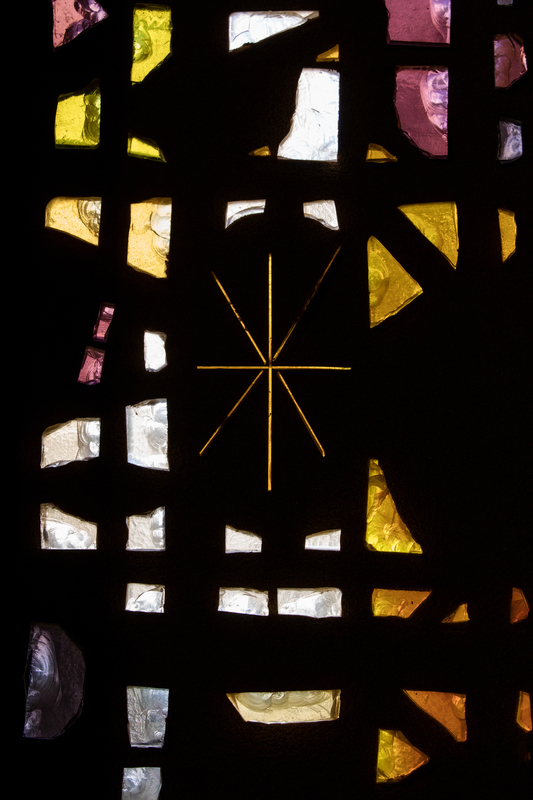 The nontraditional design extends inside, with two towering crosses flanked by stained-glass windows on either end of the sanctuary. Senior pastor Leonard R. Ezell says the curved roof, similar to an A-frame shape, is meant to evoke a sweeping, upward feeling. We’re looking for unique architecture and religious artifacts at local places of worship to include in future editions of this series. 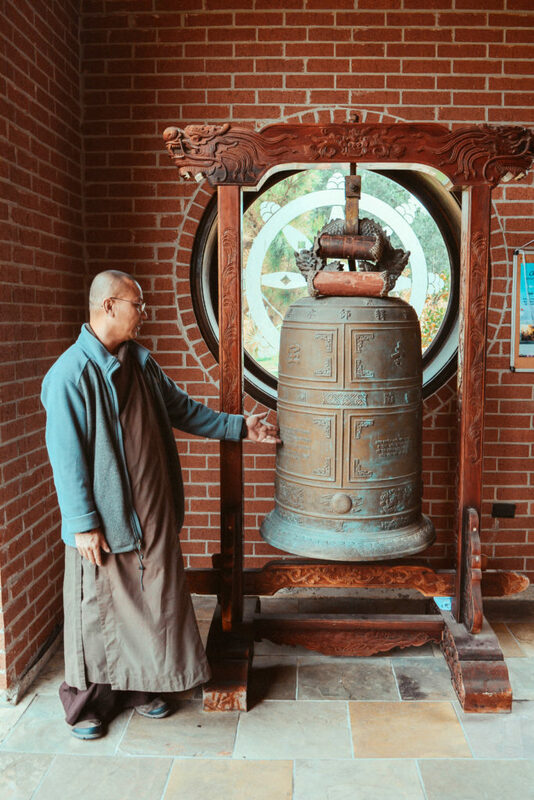 Email suggestions to [email protected] Find Tam Bao at batonrougebuddha.org and Broadmoor Baptist at broadmoorbaptist.com.